It seems everyone is celebrating halloween. 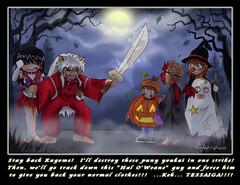 Even Inuyasha? Rumors are floating around about the possible coming Google Operation System. I am rather reluctant to believe in such a rumor, but it is quite clear now Google is definitely not just a search engine! The desktop widgets in Konfabulator or Dashboard use the concept of showing information gathered from the Internet in a nice Desktop application environment, and the eyeOS just does an opposite thing by bringing a desktop environment into a web browser. The web and the desktop is merging together, and we’ll see more integrations in the near future. I bet. Are you in Halloween spirits yet? 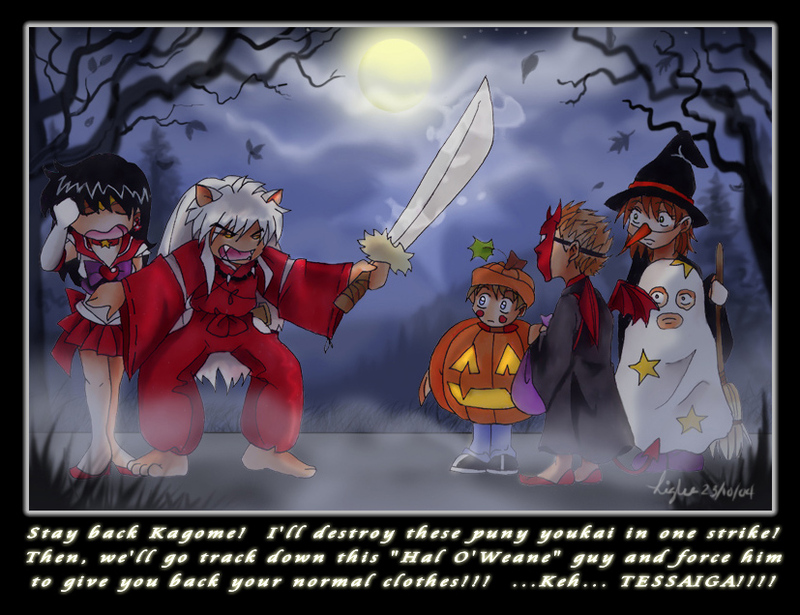 Prepared for the trick or treat? In case you are still not aware of the coming holiday, get ready for some pumpkin fun! Take a look at the FAQ section, you’ll find that the Powerpoint file was not made by the artist himself. And the show keeps drawing more and more visitors to his site and i guess that’s just the power of Internet, isn’t it? You are currently browsing the The Geeky Junkyard of kingler weblog archives for October, 2005.